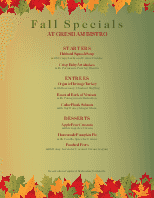 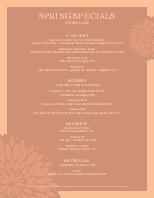 A gold emblem on top announces summer specialties on this Summer Specialties menu. 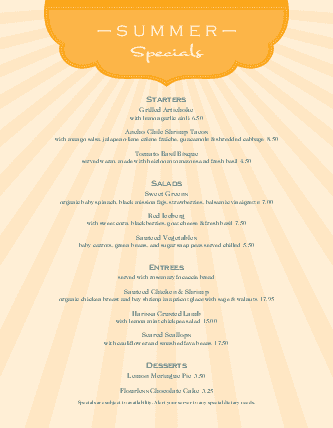 Sunbeams shine below. 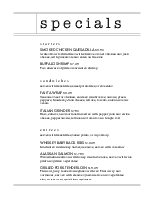 The specials are listed in a single column. 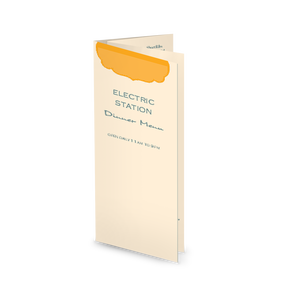 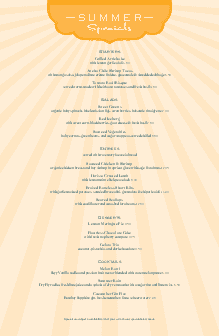 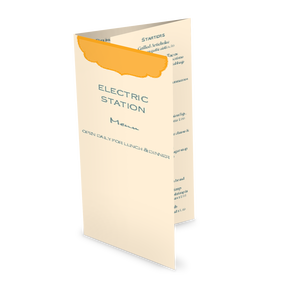 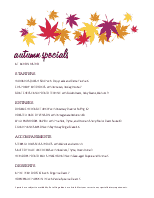 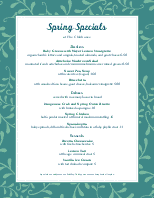 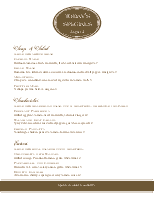 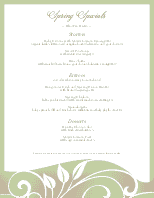 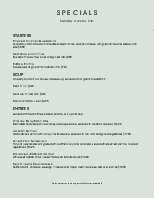 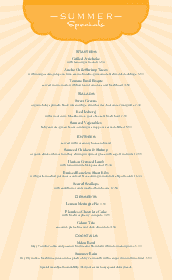 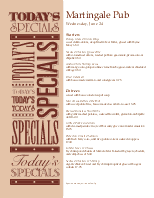 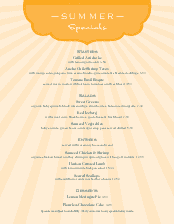 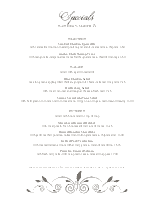 Update this sunny yellow specials menu online using the Menu Editor, our online menu software.